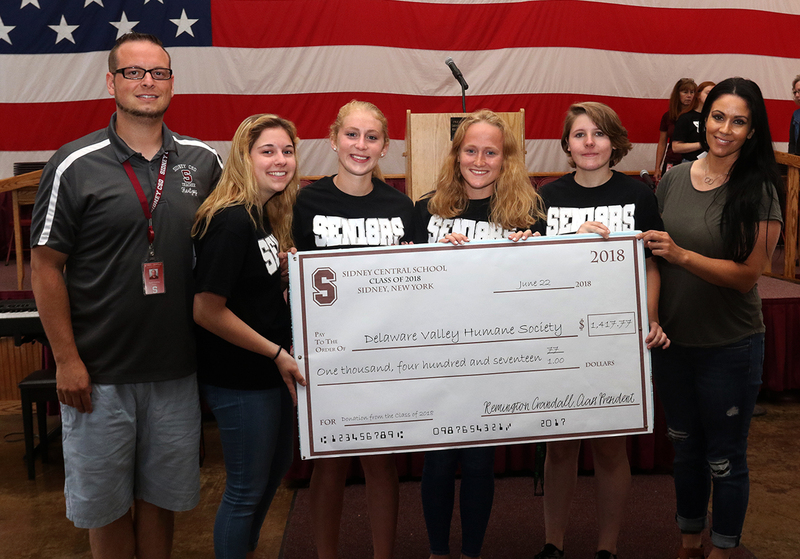 From left: Class adviser Scott Hertzog, MaKayla Greco, Lily Hinkley, Alyssa Hawkins, Remington Crandall, and Erin Insinga. 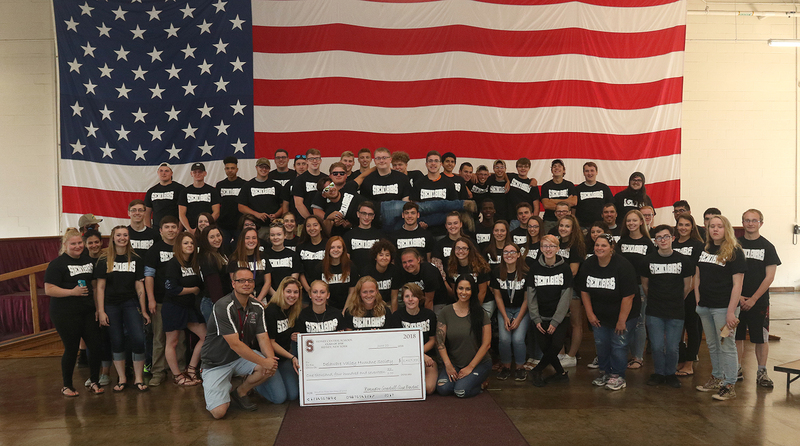 The Sidney Central School Class of 2018 donated the remainder of its class funds to the Delaware Valley Humane Society. The class presented a check to Erin Insinga of the Humane Society following graduation rehearsal on Friday afternoon. The donation from the class was for $1,417.77.